The Chronicle was once the flagship of the Hearst Newspaper group; the San Francisco Chronicle enjoyed 1.4 million readers on Sunday and 1.2 million on weekdays. But that was five years ago. A lot can happen between nine and five, and a hell of a lot in five years. The Bronstein saga looks like it was 18 years, but most of that was with the much weaker Examiner, while Hearst waited for the JOA to run out. Michael Savage, the national talk show host based in San Francisco, would shed some light on Phil Bronstien’s poor editorial judgement and left coast, flunky editorial coverage and free political promotion for “friends” on a regular basis. My guess is that some executives with Hearst in New York believed Savage had made some good points. Bronstein’s time at the helm of the good ship Chronicle was a disaster. Bronstein was a good friend of William R. Hearst III, apparently that was all that mattered. Mr. Bronstein was never as smart or as good a journalist or business manager as he thought he was. He actually helped ruin The Chronicle by stripping out any competent editors, marketing and advertising executives that he perceived to be smarter. There were scores of them. One I will call BG, did more customer building for Hearst in one year than Bronstein in 18. In fact, Bronstein cost the Hearst Corp millions of dollars in lawsuits and the shady hand-off of the Examiner. News smarts — Bronstein put on a wetsuit and posed for his photographers looking in a cold SF lake for a 14 inch aligator. What a newsman! He got a lot more publicity when he was married briefly to Sharon Stone. At least there was some positive publicity for The Chronicle. But that soon went downhill. Remember the Komodo dragon that bit Phil’s toe? The Komodo has a bacteria-infested mouth, a real jounalist would have Googled the details before taking his shoe off and going in the cage with that animal. Bronstein would have to have medical treatments for months and walk in a cast. There were jokes about the condition of the poor Komodo dragon’s mouth having bit the flesh of Bronstein. And one of the meeting rooms was named the Komodo Dragon, not much Phil could do about that. Right off the bat, Bronstein and then, publisher Tim White, did some “horse trading” with “Da Mayor” Willie Brown on allowing Hearst to pay the Fong family some $60 million to kill off the Examiner, so The Chronicle could have a monopoly in the fifth largest media market. OOPS, someone let the cat out of the bag and White retired to Carmel’s 17-mile Drive with a few million dollars to spare. That money to the Fongs and White could have come in handy in the next couple of years. An analysis of four months of The San Francisco Examiner’s editorial pages shows the paper became more positive toward Mayor Willie Brown after its publisher offered the mayor more favorable coverage on August 30. But the Examiner editorials did not give the mayor a free ride after its publisher, Tim White, offered Brown a more positive slant in exchange for the mayor’s support of the sale of the Chronicle to the Hearst Corporation. For the readers of the Chronicle and Examiner the journalistic ethics of Bronstein and White were exposed for all to see thanks to an anti-trust suit brought by Clint Reilly. The Grade the News Web site analyzed all Examiner editorials, editorial cartoons and columns on the editorial pages for two months before and two months after the Aug. 30 offer. Editorials (including snippets from prior opinions reprinted in occasional summaries) which mentioned the mayor in a positive light increased from two before Aug. 30 to six after. Nothing came of it. Reilly proved his point and Bronstein was preserved by Hearst, again due to William R. Hearst III’s friendship. Now in total power, Bronstein ruined the Travel advertising category by eliminating special sections that long-time advertisers such as Harrah’s, The Eldorado, The Nugget and several Lake Tahoe resorts invested in. What did he put in its place? The wire copy of generic travel stories from around the globe and photos of campers by Emerald Bay claiming what a fine place Lake Tahoe is for kayaking. What do you think the casino hotel and ski resort executives thought of that? Next, he actually used advertising profits from retailers in Union Square such as Macy’s, Nordstrom, Williams-Sonoma and several hotels to open a “Chronicle Cooking School” at the Embarcadero. Then he used his free newspaper space to promote it. He was promoting the Ebarcadero as the new shopping area of San Francisco. What do you think the advertising executives responsible for building traffic to Union Square thought about that? They were paying $20,000 a page for advertising day after day in The Chronicle for years. But wait, there is more! The Chronicle before Bronstein was actually helpful in organizing the effort to build a new ballpark. It was a grand success. PacBell Park became a packed house, sometimes called the park that Bonds built. Bronstein, soon after decided to go after Barry Bonds and BALCO. For a couple of years you could count on a daily story of some anonymous leaks of grand jury testimony enhanced with speculation to tear down Barry Bonds. Today, we learn that hundreds of baseball players have used steroids. And there is in fact no proof that Bonds did. What was that all about? Politics, The Chronicle actually endorsed the corrupt Democrat Gray Davis over Arnold Schwartzenhager and all throughout the recall election, posted poll results that showed the recall failing. In fact, right up to election day! On Nancy Pelosi, no stories about her non-union restaurants, hotel and vineyards. And her union political donations. Now that’s journalism! Do you remember that Bronstein fired an old photographer because he was protesting the war in Iraq and shouldn’t have taken on a political cause? But then, just months later, Bronstein hires Sean Penn to report on his disdain for the war? But that’s not all. Bronstein cut the targeted news and advertising zoning in Contra Costa County and let the years of investment in the fastest growing suburbs of California go for nothing. The CC Times was soon fat and happy again, actually making more profit than The Chronicle with its replating of several East Bay newspapers and now the San Jose Mercury News. Their combined daily and Sunday readership is substantially higher than the Chronicle’s now. That’s a sign of a savvy media baron, isn’t it? 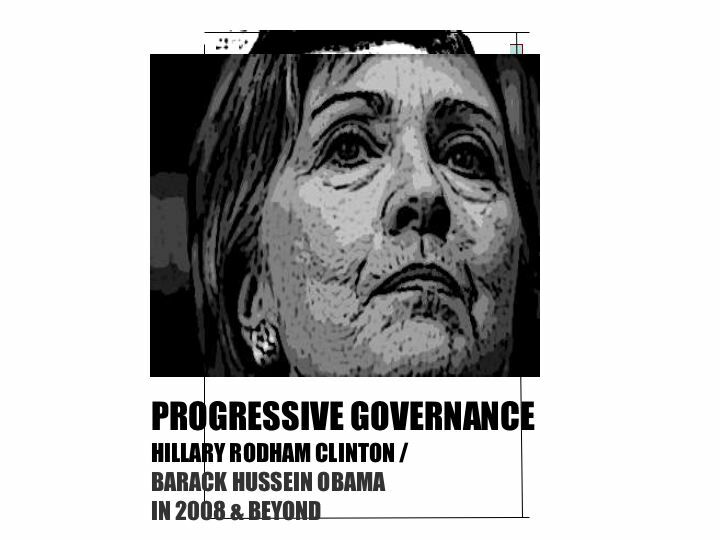 Thumbs up go to Michael Savage for helping put an end to Bronstein’s reign of stupidity. If Hearst executives did a detailed study of Bronstein’s management decisions, they could link a dramatic loss of readership, circulation and advertising to his tenure. Maybe they did just that. The Broad Street boys are mulling over a new memo warning that Philadelphia Media Holdings, new owners of the Philadelphia Inquirer and Daily News are threatening layoffs even if a new contract is signed by October 31, 2006. By Wednesday the fallout was raining down. “I’ve been besieged by members who feel outraged and betrayed that Brian Tierney has gone from ‘let’s work together’ to ‘let’s freeze the pension fund and selectively lay off some of our best people,’” says Newspaper Guild president Henry Holcomb. The new owners are negotiating with the once powerful Newspaper Guild union with an Oct. 31 deadline for a new contract, after already pushing back the deadline once in August. The two sides still face numerous sticking points. But what leverage does the Guild have? The new management has proposed combining some newsroom functions between the Daily News and the Inquirer, meaning some editorial employees would sometimes work for both newspapers. The ego maniacs in Hollywood who are considering buying the LA Times from the Tribune, should study this situation in Philly very carefully. While the LA Times tries to justify their huge sale price to the Tribune Company, and the execs try to make the huge acquisition work. The LA Times is using it’s own investigative reporters to help chart the future of the newspaper both online and in print. Editor-centric companies like this are doomed to failure. It’s not the newsgatherers who created the innovations that opened up Craigslist and Youtube. In fact, it’s not the editors who generated the 20 percent profit margins that newspaper monopolies once enjoyed. The editors typically look down on the marketing and advertising staff for creating advertorials and special branded sections on travel, homes or automotive. Those in the editor class actually despise MBAs and tech geeks. Based on horrible sales of several major newspaper chains in the third quarter, it appears that total automotive classified revenues for the year may tumble to as low as $4 billion, a level last seen in 1996. Auto sales fell 15 percent to $1.8 billion in the first half of this year, as compared with $2.1 billion in the same period in 2005, according to the Newspaper Association of America, the industry-supported trade group. Classified ads contributed nearly 40 percent of the industry’s $47.4 billion in print sales in 2005. Since the mid-90s, and the rise of such low- and no-cost Web competitors as Monster, eBay and Craigslist.org, the erosion has been swift. The broadcast media is also losing power to the Web. NBC announced it will shed up to 700 jobs — 5 percent of its workforce. The changes will be felt from Secaucus, N.J., where MSNBC will shutter its headquarters, to television sets around the country, which will soon begin tuning to game shows and reality programming in the 8 p.m. time slot. NBC said it plans to phase out costly dramas and comedies during the first hour of prime time. It appears The Chicago Sun-Times, after being stripped of valuable downtown real estate, will be put on the block next. Were the buyouts (layoffs) at the Morning News and Plain Dealer enough to get them back to 20 percent profit margins? Today, the new owners of the San Jose Mercury News (‘Lean’ Singleton, CEO of Media News Group/Garden State Newspapers, a privately held group of marginally profitable newspapers) announced layoffs. A few weeks ago, I wrote to everyone about the challenges our business faces, both over the past six years and going forward. Since then, our business outlook has worsened and we have completed our budgeting process. Given continued declines in revenue, we need to reduce expenses significantly, and thus have no alternative but to implement a reduction in work force. We plan on eliminating 101 positions by December 19th. The process of identifying individual employees subject to layoff is not yet complete. Under California law, if an employer lays off fifty or more employees within a thirty day period, it is required to provide the affected employees with sixty days advance notice of the layoff. This is known as a “WARN notice.” Since our planned reduction involves more than fifty employees, we are providing employees who may potentially be affected with the required WARN notice. Please understand that employees who are potentially affected include all employees in those departments where layoffs are necessary. However, not every potentially affected employee receiving the notice will ultimately be subject to layoff. But in order to meet compliance requirements, notice will be given to a larger number than the 101 employees. There are some things that could favorably impact layoff plans should they occur. Any significant upturn in advertising revenue would, of course, have an impact. We are seeking additional commercial print work, which would also increase revenues. We are working with our production unions (Pressmen, Mailers and Drivers) to be better positioned to accomplish this. Price reductions in newsprint have been rumored recently, and could lead to expense savings should they occur. Lastly, we have three open union contracts we are negotiating (Guild, Composing and Pressmen) and, depending on the outcome, they may also lead to further expense reductions. All of these could reduce the ultimate number of positions eliminated. I understand the uncertainty these staffing cuts create for everyone, and deeply regret that we have to take this action. Please know that we would not do so unless it was absolutely necessary to ensure the future viability of our newspaper. Meanwhile, the Hearst’s San Francisco Chronicle is privately held and can afford to pay $1,000 a day in court fees for refusing to show sources in its Barry Bonds/BALCO case. That’s enough to pay for five staffers. And shows the power of being privately held. Another good example: The Poynter Institute which owns the St. Petersburg Times is hiring and happy with its profit margins even when they dip below that of oil companies. But there is much more to their success than just private ownership. Now a blogger sheds light on the Foley gay outing story. The young man is 21, he was 18 at the time of the IM gross exchanges. William Kerr, of Moore, Oklahoma is the author of the blog Passionate America, which is being credited with discovering the identity of the former House page who may have exchanged inappropriate instant messages with former Rep. Mark Foley, and that the former page now works for Oklahoma gubernatorial candidate Ernest Istook. Kerr said he received e-mails and phone calls from national media outlets Wednesday, including the tabloid television program Inside Edition and Internet pundit Matt Drudge. Kerr said he stumbled onto the former page’s AOL screen name when looking at transcripts of the instant messages on ABC’s Web site Saturday. He said he typed a slightly-different Web address into his browser and found a version of the transcript with the screen name. Kerr and another blogger spent several days researching on the Internet. They had determined the page’s identity and were about to publish it when they found out he worked for Istook. Kerr said he accidentally posted the story before he intended. Although he removed the post, the information already had spread. He tried to verify the former page’s identity through Istook’s campaign office, but was turned away. Great work! 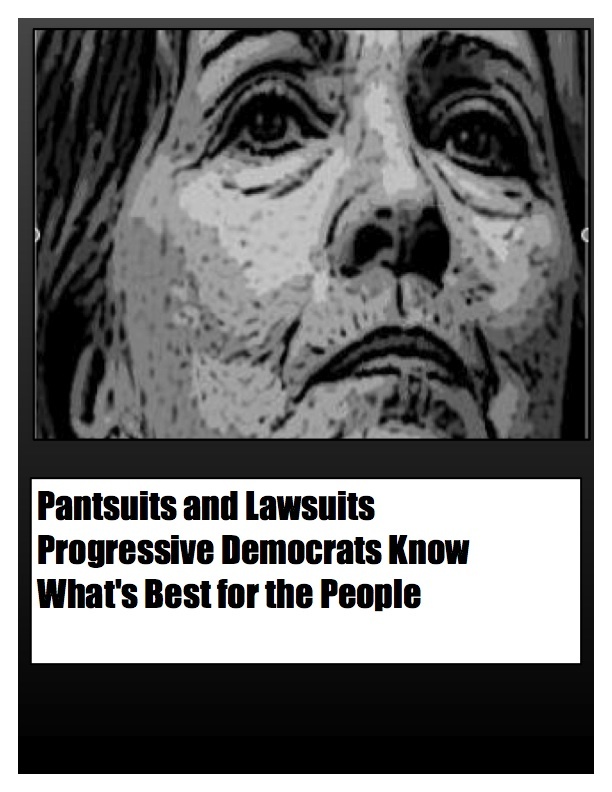 This is turning out to be the Democrats’ October surprise. 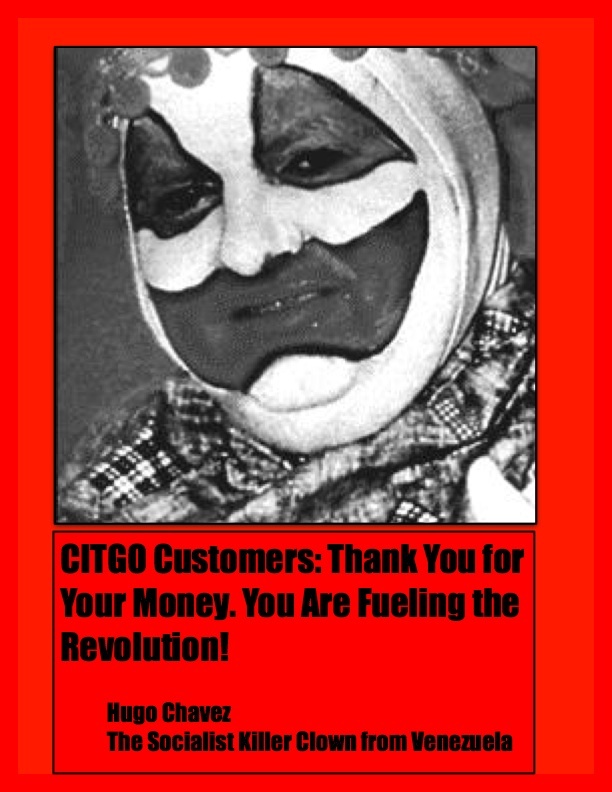 Last week we learned on the network news about 7-Eleven dropping Venezuela-backed Citgo as its gasoline supplier after more than 20 years. This news has been posted on blogs for a month. Management at 7-Eleven were worried anti-American comments made by Venezuelan President Hugo “Boss” Chavez might prompt motorists to fill up elsewhere. The 7-Eleven chain, which sells gasoline at 2,100 of its 5,300 U.S. stores, will now purchase fuel from several distributors, including Tower Energy of Torrance, Calif., Sinclair Oil of Salt Lake City and Houston-based Frontier Oil Corp. None of the gas will be from Venezuela. Today we see that Citgo’s el presidente, Felix Rodriguez, appointed by Hugo Chavez, is making statements to Spanish television stations such as Univision that it was Citgo’s decision to drop 7-Eleven! That’s what 7-Eleven management gets for trying to downplay their decision. The reality of the situation is that Hugo ‘the Hut’ Chavez signed a huge deal to sell oil to China and would like to keep the price per barrel as high as possible and try to ruin America’s economy. Hugo ‘the Hut’ would also like to be able to stop shipments of oil to America. In another developing story, reporters attack HP for possibly spying on their managers and directors including the use of private investigators. HP executives had to appear before a congressional hearing yesterday to explain themselves. Yet, the San Francisco Examiner hired private investigators to follow reporters and used the evidence compiled to fire them. The Examiner staff, now merged with the San Francisco Chronicle, have their e-mails monitored and their Web use watched. The use of private eyes is most likely still in use. Those stories never see the light of day in the press. Most IT companies monitor employee e-mails and Web use. Many use private investigators, but they are not the “high and holy” media. The media elite believe they are above the law. And it’s The Chronicle editors telling the U.S. courts they have the right to leak (and profit from) grand jury content in the BALCO case. Michael Rains is Bonds’ attorney. He pointed out in a rebuttle to The Chronicle reporters trying to use the courts to shield them, that Barry’s trainer and boyhood friend, Greg Anderson, has been found in contempt of court twice for refusing to testify and is in jail for a second term. Anderson, who earlier served three months after pleading guilty to steroid distribution and money laundering, has refused to tell the court whether he gave Bonds steroids. At issue is whether Bonds lied under oath when he told a grand jury in 2003 that he never knowingly took steroids. Anderson’s testimony appears to be key to making a successful perjury case against Bonds. They (the Chronicle reporters) need to be in jail,” Rains said of the reporters, whose work cast Bonds as a steroid-enhanced cheat. “Other media people, of course, take exception with my attitude about that; but I say unless they go to jail, you make a complete mockery of the grand jury system. Since when can anybody declare that the purpose of our dealing with this issue has a larger purpose, and that is to educate the public?